Someone gave me this similar workaround a while ago, and I have just played with the cloned form I made, but it doesn't seem to give an accurate result - example, I put in my date of birth 1 Aug 1978 and it said I was 39. 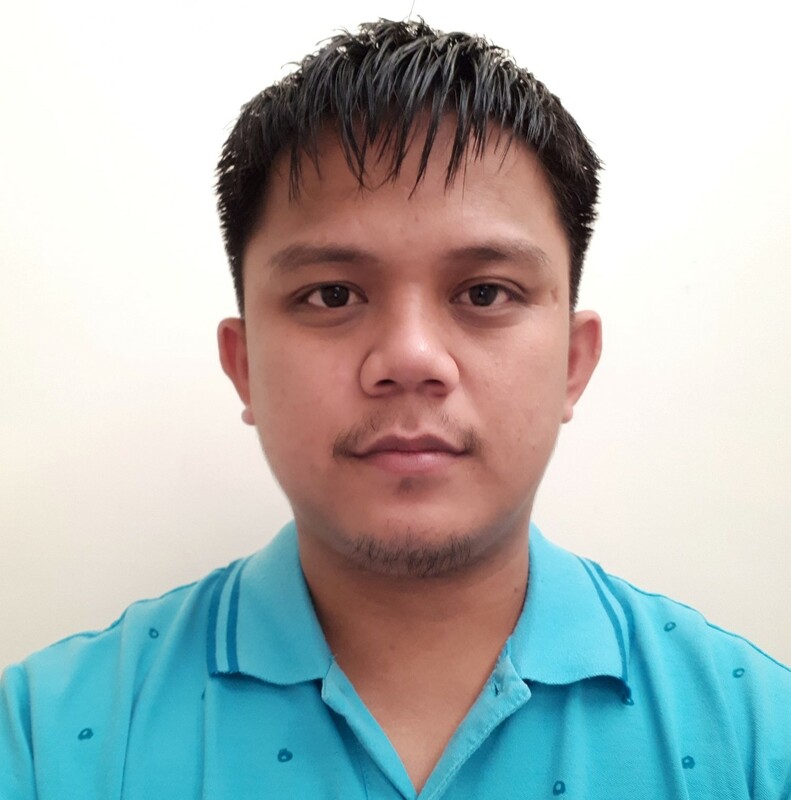 Now, I WILL be 39 this year, but I am not right now...can the code be tweaked to take account of the days that have elapsed compared with your actual birthday to make sure the result is 100% accurate? There is no point using this (otherwise great) code, if the result is off my a year because of the issue as described above. I think the Dates Difference widget has the more accurate calculation. 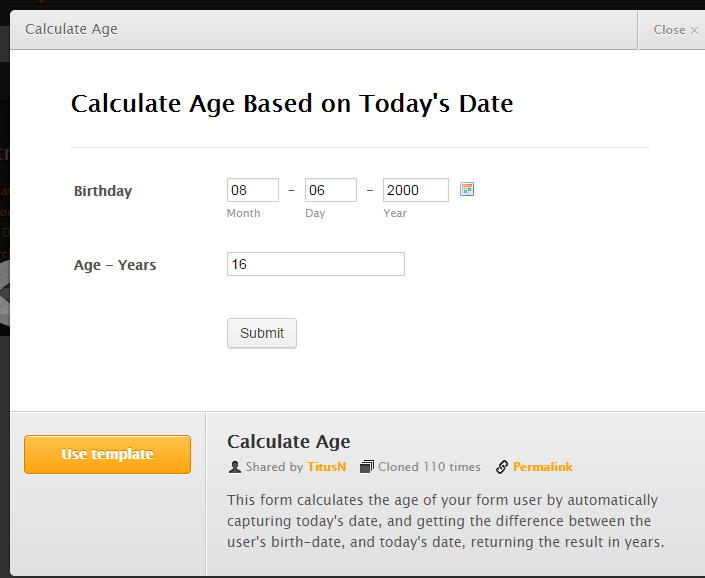 I will check how it can be applied on the age calculation form also. I'll get back to this as soon as I have update. I also found a solution that work on another user about the same scenario. You can review the thread here. You can also clone the form so you can review it on your Form Builder. How do I clone again? I have tested, this does work great. Can you just tell me how to insert this into my existing form, using the existing DOB field I have currently on that form - I assume it's a number of hidden fields and calculation rules like earlier suggestions? Please refer to our user guide on how to clone a form. I suggest you clone the form so that you can better review it on your Form Builder. 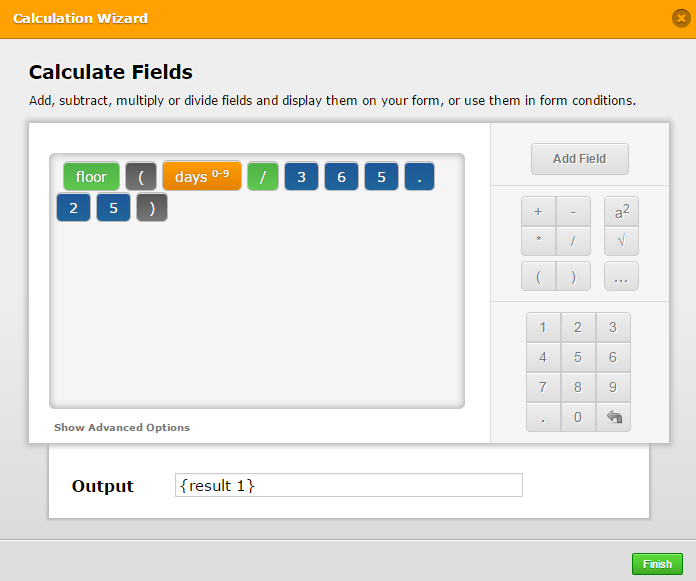 And you will be able to see also the hidden fields and calculation formula once you have the cloned form. Below are also the steps I did to create the form. As you can see I used the floor() function and divide the number of Days by 365.25. 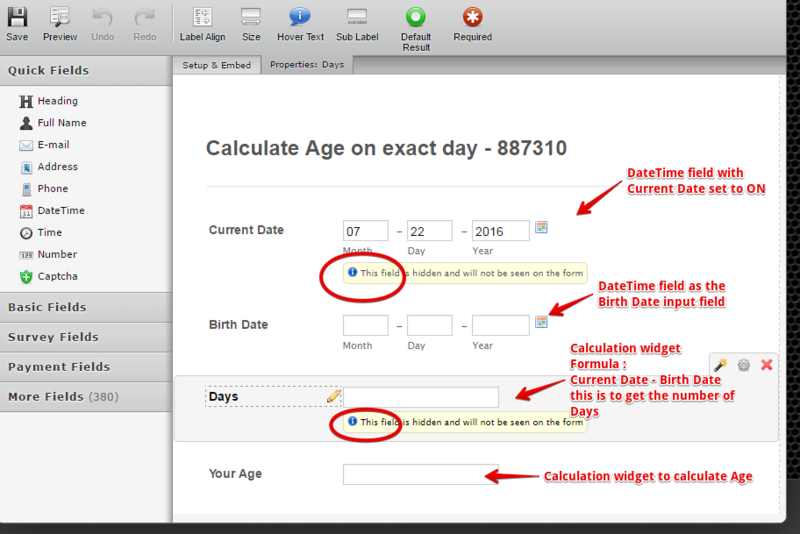 Just add the necessary fields on your form and use the same formula for the Calculation fields. label, and hopefully still having height and weight on the same line. @OBrandman: I have created a new thread for your inquiry. Link here https://www.jotform.com/answers/1146960.